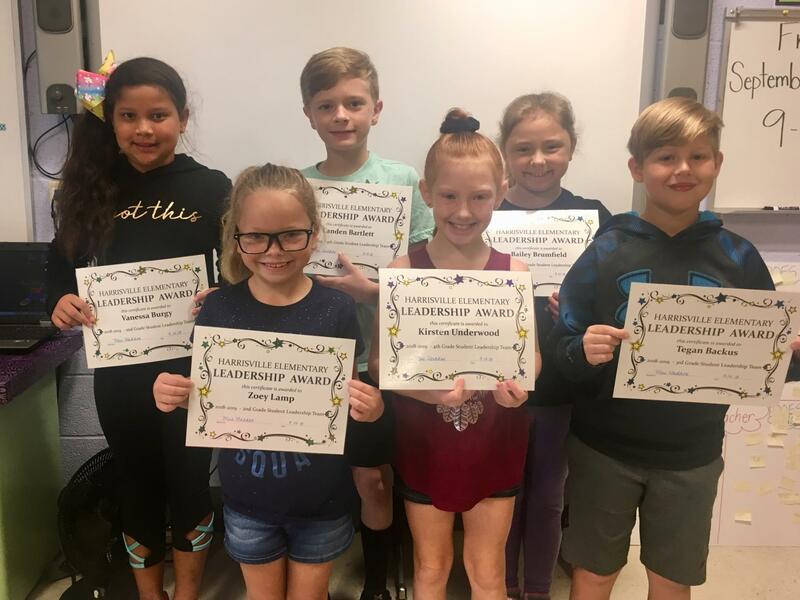 The 2018-2019 Student Leadership Team at Harrisville Elementary School has been chosen by the teachers. These students will help lead, give ideas, and make decisions that affect the students at H.E.S. These students are from 2nd-4th graders. These students are (1st row) Zoey Lamp, Kirsten Underwood, Tegan Backus, (2nd row) Vanessa Burgy, Landen Bartlett, and Bailey Brumfield. © 2019. Ritchie County School District.